The versatility of the humble pinboard.This is just a catch-all post covering the pinboard set-up that has evolved since I first set out trying to get a game into a smaller space. 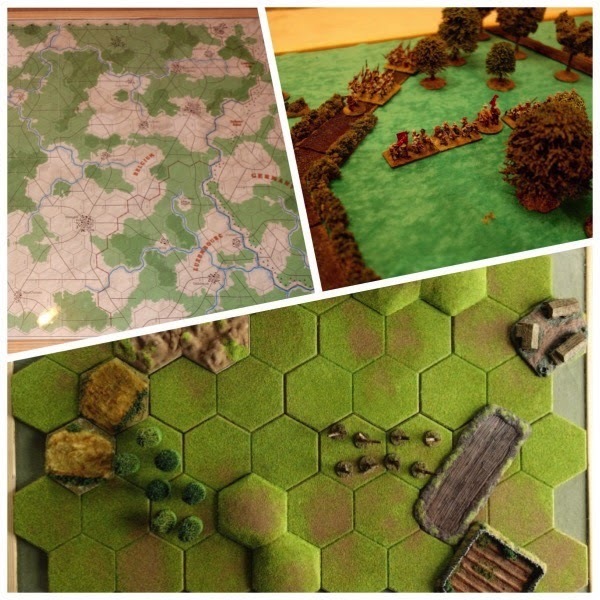 The post covers materials used and demonstrates the use for boardgames, figure games and using Hexon II terrain.Please click on the 'read more' tab for the rest of this post. Why a pinboard? - There were two driving forces that resulted in this being a chosen gaming space. The first being a back problem that has made stretching or leaning across a table painful and for the most part impossible. The second being a lack of both gaming and storage space. In these two regards, the pinboard with its sturdy but light frame allows the game to be pulled close towards you on your turn, so that you get maximum reach across the play area without over-stretching and for miniatures, you can get a decent game with low numbers of figures and terrain items, so storage is by nature is eased.The board is sturdy enough to sit onto a smaller surface than its own footprint, so if you are without a table, it can even be lifted up onto an ironing board or some such. Mid-game it can just be lifted to another location until ready to play again. So when the family annoyingly demand the dining table for its 'other' function, the player can move the board with a part played game, onto a bed or whatever is convenient and then return it to the table later.After going through various board materials, I settled on a large pinboard from Staples (UK stationers), which has an interior usable surface of roughly 22" x 34", so just under a convenient 2' x 3' space. I selected the MDF version (whiteboard on the other side), mainly for strength and to stop any bowing due to dipping in the middle. Cardboard (art board) wedge tapped home to be flush with the edge. The MDF board rattles a bit in the frame, so the first job is to tap a few cardboard wedges between the frame and the MDF to tighten things up. A bit of hot gun glue can go in behind the wedge, but this can be messy, inaccurate and you have to work quickly before the glue hardens. On reflection, a PVA / wood glue would have been a better option. 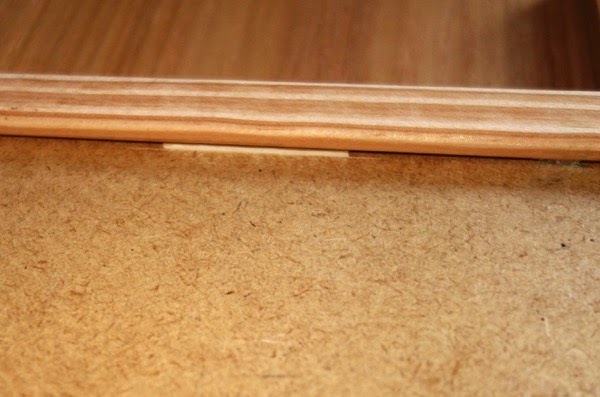 Using a hot glue gun, some panels of 5mm foam board (available at artists and hobby shops) were fixed to the rear (the white side), just to ensure stability and prevent any tendency for the board on its playing side to dip in its middle, by keeping the bottom of the board the same thickness as the frame. The material is also very light.Turning the board back to its user side now gives a firm and stable playing surface. A standard boardgame map that comes in magazines and box games is typically 22" x 34", so will just nicely drop into this space.My local 'Do It Yourself' store cut a piece of perspex to that size, so that it just drops into the playing area without catching on the frame. Maps can now stay stored folded with the game box and when unfolded for play, the perspex will automatically flatten it all out and also protect the paper fold lines from undue wear from the counters. I used to keep all of my maps permanently open, secured between two boards, which became increasingly problematic with each new game. In the below photograph, the map is placed underneath the perspex (as revealed by the reflection of the ceiling lights - but you don't see these when seated). The map is naturally a nice tight fit - it was not trimmed to get this result. Bulge - by Decision Games, the map is a nice snug fit. Going to this sort of set-up opens up the range of games that the spaced strapped gamer can put out. 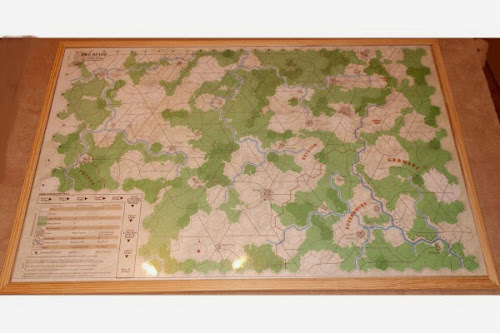 Though still limited to '1 mappers', those systems that require above say three hours playing time suddenly become more viable, because the game can be moved around.A Command & Colors board (being 20" x 30") can also drop into this space and then the perspex can keep the terrain tiles in place. The thickness of a C&C board plus the tiles means that the perspex is raised high, but it still does the job and more importantly, allows the game to be moved around the house as needed. For the Napoleonc series, there is also enough room at the edge to slip the 'In Square Track' play cards under the plexi as well (shown on the left side of the board below). C&C Napoleonics, the battle of Wavre, with the In Square Tracks on the board as well. 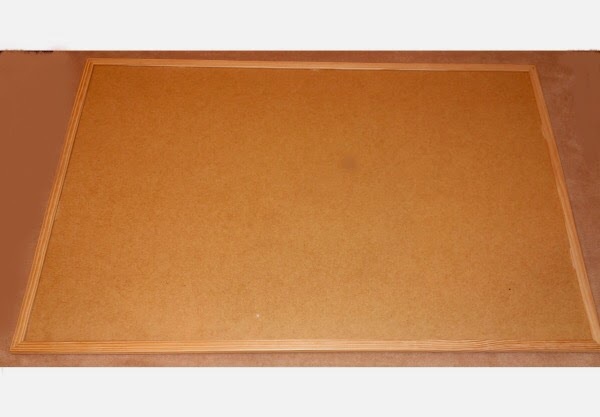 For a figures games, you just need your preferred surface (fabric, matting, carpet tiles etc) to be cut to 22" x 34'. 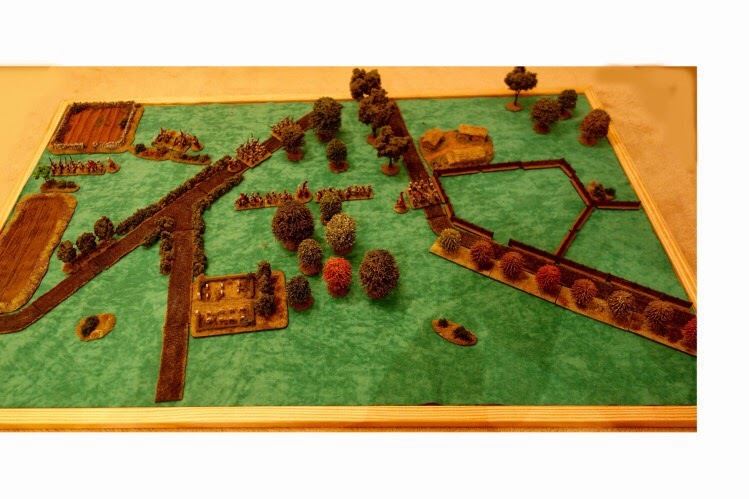 In the below photograph there are six confederate regiments (each with two bases at 40mm wide with 10mm scale figures) and two artillery bases on the board (all to the left of the second road) and it still feels like there is room to play and manoeuvre. Converting rules that are stated in inches to centimetres will make this playing space represent something just slightly larger than a 6' x 4' table size. 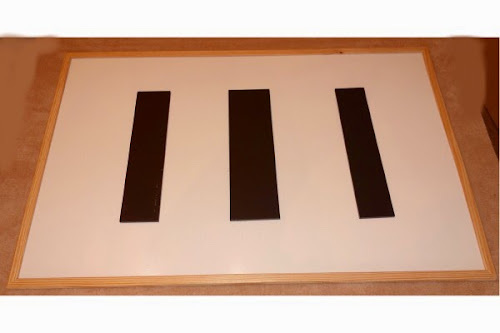 Reducing a game ruler or other measuring stick / template on the photo-copier by say 33% will also help games that normally need more room to fit into this space. 10mm figures on 40mm bases, using 2 bases per unit. 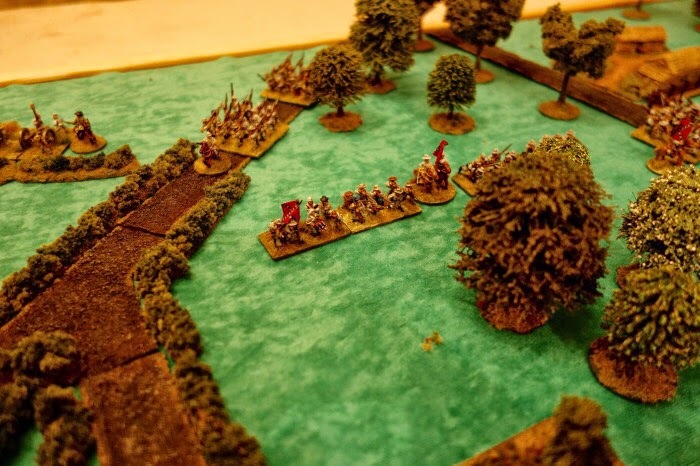 For figure games, a significant benefit is that fewer units and terrain items are needed. The knock-on effect is that storage is easier, armies are smaller, cheaper, quicker to paint and so more armies can be collected than otherwise might be possible. Close up of above shot, showing 5 units plus artillery fitting comfortable in this area. Readers of the blog will know that I have recently been gaming with Hexon II (by Kallistra) hexes on a pinboard, using an 8 wide by 6 deep grid. 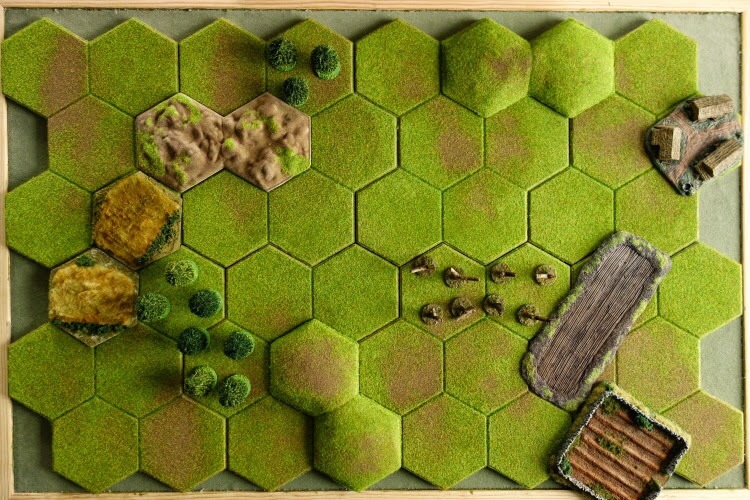 I have put together a set of free rules (see the labels section to the right) called Tigers at Minsk, which sets out specifically to use this size grid for WWII tactical games.Each hex is 4" (100mm) across from flat to flat, so easily accommodates 2 x 40mm bases (or two such units, one behind the other). Movement, measured in 4" stages, feels quite 'normal' and makes movement and firing ranges easy to manage without having to physically using a measuring device. The Hexon tiles stack, so the below cityscape boards can be stored in a box that is just 6" deep, easily kept on a bookshelf. Anyway, there it is, the versatility of the pinboard. Not the answer for everyone, but for the player who is space starved or has a disability / injury that prevents using a bigger area, it has a lot going for it and if it simply gets you into more gaming sessions or able to play longer games, then what's not to like! Resources: Here are a list of previous posts that show the evolution of my pinboard gaming. Well played. One additional idea, I play mostly solo and on small boards as well, I purchased a large Lazy Susan type turntable and matching no-slip rubber mat. 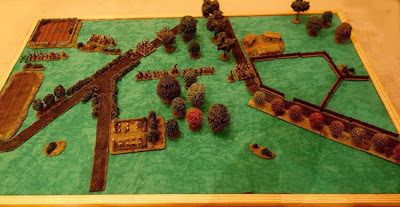 I place my board on top of this and can easily rotate the game when I want to see the battlefield from the other side without walking around the table. Thanks Dave, that thought did cross my mind, but I immediately discounted it, believing that the board would be too heavy and the device too small - obviously I need to re-visit that now that I know it can be done. I had been recently playing the same game and the same side with a friend over a few sessions. when we decided to switch sides, I felt slightly disorientated by the now 'upside down' map - so battlefield perspective is a real factor and it would be useful to get it back for my solo games. Have just checked e-bay, didn't realise they were so cheap for a 10 to 12" version. Also noted an 18" version in aluminium for £25, expensive but would do the job for life I think. Hi Dave, what a good idea ..... but - I was surprised to find that a print button does not appear in the 28 basic buttons provided by Google and a search of more than 300 third party add-on's did not reveal one either. I would have thought something as basic as this would have existed. If anyone can point me in the right direction, please do! I wanted to read the cityscape article, but I got a message saying, "Sorry, that page doesn't exist". Where did I go wrong? Hi Chris, I think the link may have become broken ..... It is the one post that I deleted in error when trying to edit and then could not get it back, because blogger changed the recall rules .... So I had to find an internet archive and reconstruct the post, it will have got a new page address and I must have missed this link. Anyway, the link has been fixed (above in resources). Thanks for supporting the blog. Norm. Thanks Dave, I went through both the automated and manual process and could not get the button to show, even though it was clearly there in my template and I can see the code ... odd!